Finally, the MSSM Chess Championship 2015 Edition has come! Today at 3.00 PM the first round of the much awaited championship will kick off. Since GiLoCatur's children participation in the championship started in 2009 Edition, GiLoCatur has been to all editions except last year in Kuching, Sarawak. 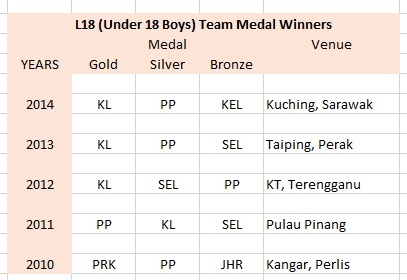 In this entry, GiLoCatur would like to focus in Under 18 Boys ie L18 Team category. Do you know which state team has won the most in this category? Fortunately, GiLoCatur has the photos of the champions for each Edition since 2009. GiLoCatur will share the photos. It is a very true fact that Selangor, the state in which GiLoCatur was born, has never won the Gold medal in this category since 2009. On a happy note, GiLoCatur's eldest child, Fikri, had won the Gold medal twice playing for WP Kuala Lumpur (KL). Legend : KL = WP Kuala Lumpur, PP = Pulau Pinang, KEL = Kelantan, SEL = Selangor, PRK = Perak, JHR = Johor. 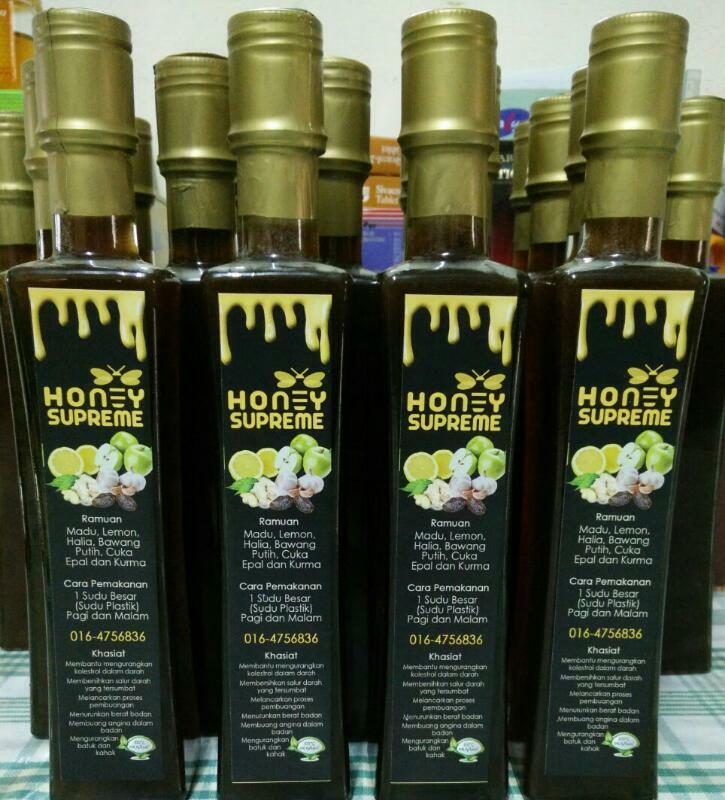 WP Kuala Lumpur has dominated this category for the past three years - 2012, 2013 and 2014. 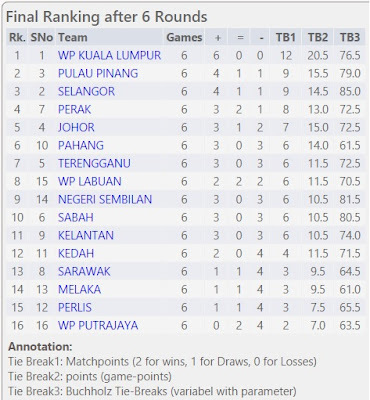 In fact, since 2009 Editions WP KL has won four (4) out of total six (6) times for the L18 Team event. 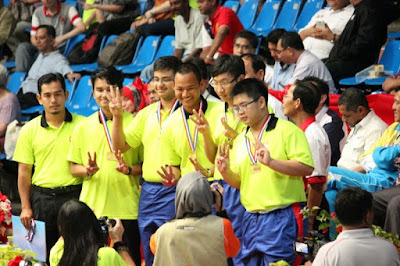 Fikri was part of the champion team in both 2012 and 2013 Editions. 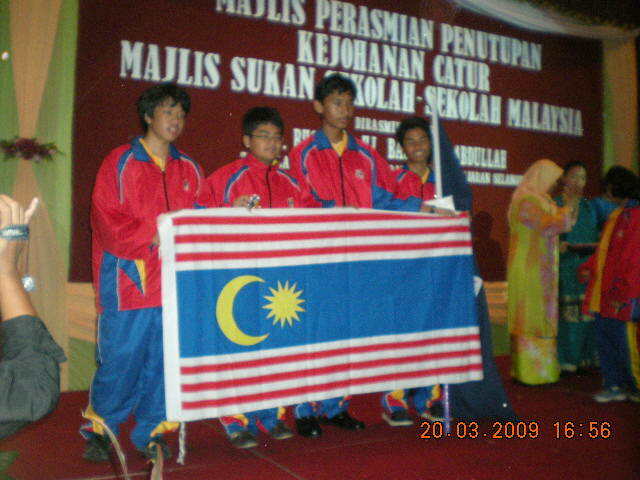 Pulau Pinang and Perak were the champions in 2011 and 2010 respectively. Below are the L18 Team category champions of the MSSM Chess Championship since 2009 Editions. Among the four WP KL L18 teams who became the champion, which one is the best? GiLoCatur could only provide the complete chess-results statistics for the past two years only. 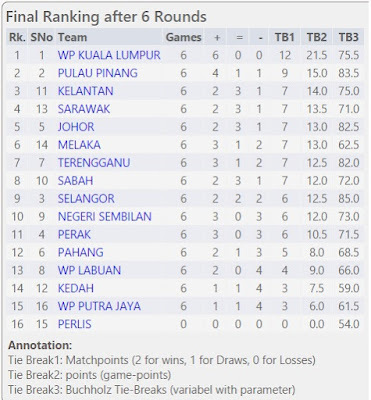 Personally, GiLoCatur believes the WP KL 2012 team that includes Yeap Eng Chiam (1st Board), Tan Jun Feng (2nd Board), Liew Ken Yew (3rd Board) and Fikri Saleh (4th Board) is the best team. The team won all their six (6) rounds scoring the full 12 match points and at least 22 out of total 24 game points. Below are the chess-results statistics for the WP KL L18 teams for 2014 and 2013 respectively. The 2013 WP KL L18 team won all the six rounds and scored 21.5/24 game points. Playing the third Board, Faizal won all his six games. The 2013 WP KL L18 team won all the six rounds and scored 20.5/24 game points. Playing the fourth Board, Albert Ang won all his six games. So, which team will emerge as the champion for this year edition? 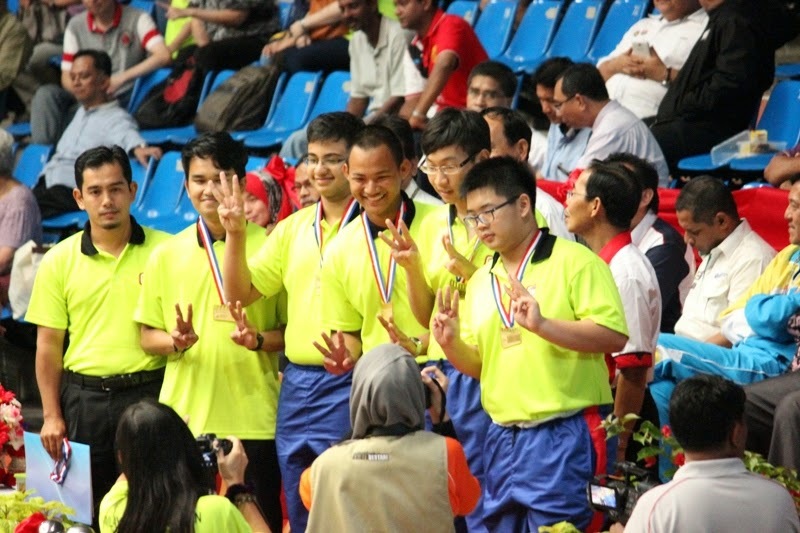 Can WP KL continue its winning tradition by defending the Gold medal in this event? Let's wait for the 2015 MSSM chess championship to finish.